Partner co-responsible for the Financial and Governance and Real Estate area of Sérvulo. Guest lecturer at the Law Faculty of the New University of Lisbon (2004-2011). As a lawyer specializing in Financial and Capital Market, Manuel Magalhães is recognized by leading international directories, and named by Chambers Europe, is also recommended by the Legal 500 as a Leading Lawyer and distinguished by IFLR1000. Clients praise Manuel Magalhães for being "technical, responsive, and up to date with new trends." Partner at Sérvulo & Associados since 2011. Partner at Cuatrecasas, Gonçalves Pereira, from 1999 to 2011, and Head of the Banking and Insurance Department, in the Lisbon branch, between 2003 and 2011. Lawyer and founding partner of H. Gamito, Couto, Gonçalves Pereira e Castelo Branco,in Mozambique, between 1998 and 2003. Admitted to the Mozambique Bar Association in 1999. Admitted to the Portuguese Bar Association in 1992. 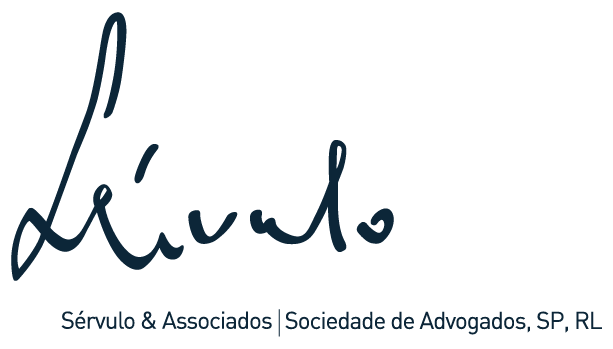 SÉRVULO & ASSOCIADOS was founded around the figure of Prof. Sérvulo Correia, one of the leading Public Law lawyers and academics in Portugal. The firm quickly stood out in the market for its unequalled specialisation in Public Law. The development of the business law landscape in Portugal was a catalyst for widening and consolidating the firm’s practice areas. Today, SÉRVULO is one of the leading Portuguese law firms and it has gained recognition not only in Public, Regulatory, Public Procurement and Projects Law, but also in Finance, Corporate, Employment, Tax, Criminal, Competition, Intellectual Property and Litigation and Arbitration Law. As evidence of the firm’s development is the fact that SÉRVULO was shortlisted for the Chambers Europe Awards for Excellence in 2012 and in 2013, having been recently awarded the Chambers Europe Client Service Award for Portugal. This award is a clear recognition of the overall quality of SÉRVULO services and commitment that has made this office a reference, possessing a strong academic identity and technical and human valences of excellence in their various fields of practice. The firm has been shaped by the links to academia that many of SÉRVULO s partners and associates have, such that one of the firm’s main strengths is its ability to build solid bridges between theoretical knowledge and active legal practice. SÉRVULO is committed to providing legal services of high added value in those practices that are most relevant to the strategically important areas of business. SÉRVULO rewards merit and encourages the continuous acquisition of knowledge and other professional skills, attitude which in turn is reflected in the quality of the services rendered. SÉRVULO does not compete with other law firms on lawyer numbers, but instead invests in providing highly complex legal services and it houses a roster of lawyers that is up to all the challenges that this may present, in all the practice areas the firm covers. At present, SÉRVULO houses a team of 61 lawyers, composed of 13 partners. A full list of all of the firm’s lawyers can be found at www.servulo.com. Sérvulo & Associados joins IR as the exclusive Real Estate Member in Portugal.